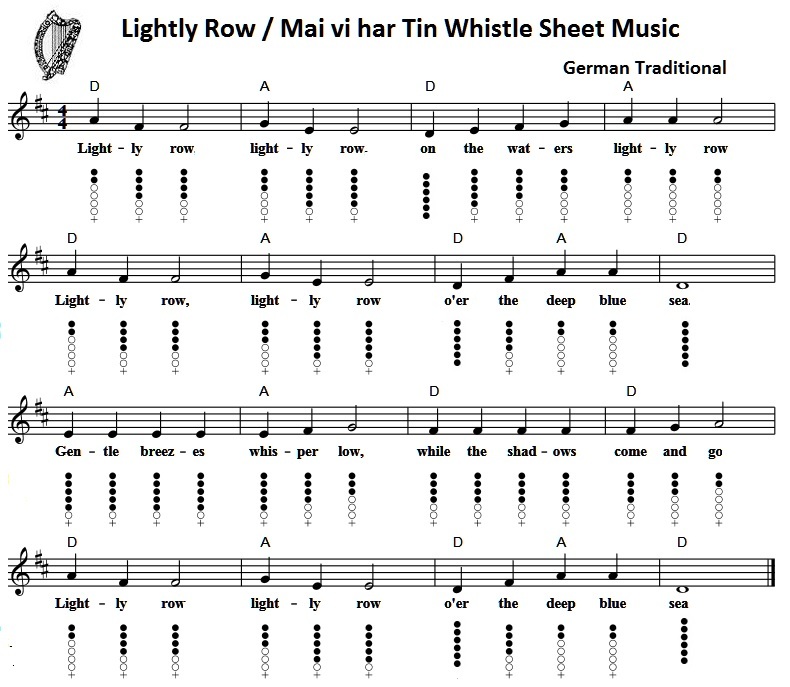 Lightly Row Tin Whistle Sheet Music. Key of D Major. A German traditional song.